It’s challenging when drowning in depression to rise above it and focus on reasons to be thankful. This is my ninth consecutive Thanksgiving in the US, although 10 in total and one would figure by now I’d be over the sadness that comes with spending such holidays by myself. I’d always envisioned that if by this age I were still living here, I’d be happily married with a family of my own and finally truly celebrating Thanksgiving. But as the sun sets on another Thanksgiving Day, I’m like McCaulay Culkin in that 1990 top draw comedy, “Home Alone” except there’s no laughter being derived from within my four walls – only tears. Living in a foreign country away from all my relatives and closest friends is especially felt on days like today. 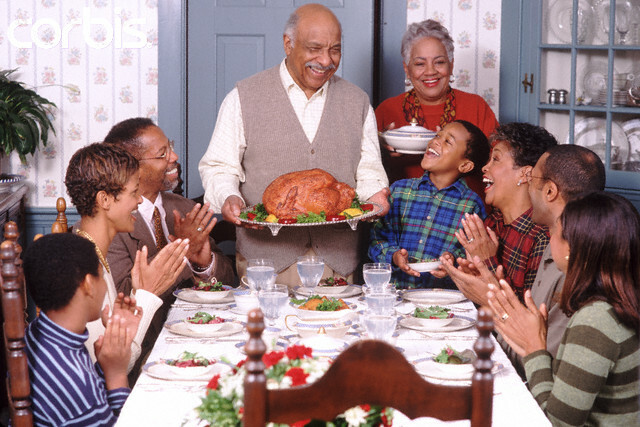 To be fair, I’ve actually had two, maybe three enjoyable Thanksgiving days over the years, with 2011 standing out most after getting a surprise dinner invitation on the actual day to join a friend and her family. Hers was a much appreciated offer since I’d endured the previous year without any. I did, however, have a back up plan as you can watch here: My Solo Thanksgiving Dinner. This time around, as the fourth Thursday in November drew closer, I told myself that whether or not anyone remembered me, I was going to make the best of my day and make sure I enjoyed it. I challenged myself to focus on all I have and not what is missing from my life. I reflected on all I’d accomplished thus far this year, reviewing the index card on which I’d written down “2012 Goals” on Jan. 1 and noted with pride that most of them had been checked off. I reasoned that those goals left unchecked could still materialize by year-end – well except for finding the husband – so I ought to just be thankful for my overall progress. Indeed, I have much for which to be thankful: a loving and devoted family; loyal friends; being able to work in the field I love; talents in the areas about which I’m most passionate; living in the land of opportunity, in one of the most amazing cities in the world; and a faithful God whose “morning by morning new mercies I see” gave me the breath to face this day. So although my Thanksgiving Day has not been filled with a table bountifully laden with food and being surrounded by the love and company of family and close friends, I can still celebrate. I can celebrate life, life and all the hopes it holds – for that, I am thankful.